Sodium and potassium are essential minerals, which means that your body cannot function properly without enough of these minerals. Getting too much or too little of either of these minerals can cause physical symptoms, but neither is directly associated with headaches. Sodium and potassium levels do affect your blood pressure.however, and high blood pressure, a medical condition known as hypertension, can cause headache. Sodium and potassium are electrolytes, which transmit tiny electrical impulses, making them important in normal nerve and muscle function. They also balance the amount of fluid in the body. You consume the majority of sodium in your diet in the form sodium chloride, or table salt. Sodium attracts water, so as the amount of sodium in your blood increases, your volume of blood also increases. 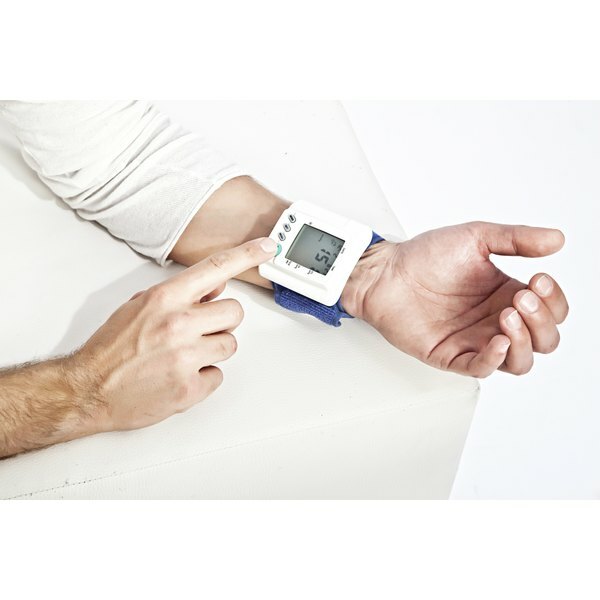 To compensate for the increased blood volume, your blood pressure increases to keep the blood flowing. Potassium helps to counteract the effects of sodium. Excessive sodium intake with a potassium deficiency can cause hypertension. Headaches affect approximately 90 percent of the people in the United States. Most headaches are not serious, although some headaches can be a result of a more serious medical condition. High blood pressure, often referred to as the silent killer, can cause headaches, according to the National Headache Foundation. Hypertension does not usually cause recurring headaches, but it can cause an occasional headache due to increased pressure in the blood vessels in the head. The majority of hypertension-related headaches occur when blood pressure reaches levels of at least 200 mmHg over 110 mmHg. Any discussion of the headache effects of salt substances like potassium and sodium should include a discussion of monosodium glutamate, or MSG. Although chemically and structurally different from table salt, MSG does contain sodium -- about one-third the amount in table salt. MSG functions as a flavor enhancer and meat tenderizer, making it a popular food additive. Although some people claim that consuming foods with MSG causes symptoms like headache, flushing, sweating, chest pain, nausea and weakness, scientific research fails to confirm any link, according to the Mayo Clinic. To reduce your risk for hypertension and hypertension-related headaches make sure to limit your consumption of both sodium and potassium. The Institute of Medicine recommends adults consume no more than 1,500 mg of sodium per day. Most people in the United States consume far more than that -- approximately 3,400 mg per day. If reaching the goal of 1,500 mg per day is difficult, try to limit your intake to at least 2,300 mg per day, which the Institute of Medicine says is the tolerable upper intake level. The American Heart Association recommends you consume at least the recommended 4,700 mg of potassium per day. Can Folic Acid Cause a Headache?